Of course, the software puts Moto X in the top tier. So, Motorola did not know how to price it. They want to be the next Apple, betting on the software. When the price was announced, most analysts were stunned. When your market share is shrinking, you need get the volume (or scale) to get the profit, not increase the profit margin. Simple economics. Guess what? Motorola had no choice, but to reduce the price for Moto X after almost 3 months. Had Moto X priced at $399 in the initial launch, Moto X would have saved Motorola. Of course, Motorola cut the price since then, but the sales never bounced up. For a smartphone, if it fails in first 2 months, there is almost no chance for it to re-bound. The major bad review for Moto X is on camera. To be honest, Motorola did a nice job by simplifying the camera usage on smartphones. Double twist to launch camera and then touch to shoot. If you compare the usage of Galaxy S4’s camera, this is a revolution! But the problem is the poor image quality: lack of details in most photos. Also, some common feature, for example, image resolution, is totally removed. All your photos are in 10MP, and all videos are in 1080p. Please remember there is no SD card support in Moto X. What do you think about the failure (in sales) of Moto X? Please share with us in the comment box below. Americans should have bought in huge numbers precisely because it was US-made. Both me and my wife did, and were not disappointed. The phone has been great, and any minor advantages that an Asian made phone may have in performance or features is lost on us, this phone does everything we need it to, plus it is Made in USA. The lack of patriotism in swaying US buying trends is the hall mark of a society that does not know what it needs to do to survive. Also, shame on Google for not seeing the Moto-X through this storm, and have some resolve to try harder and keep manufacturing in America. 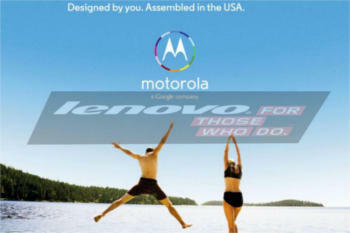 PS- I will not buy a Chinese Lenovo Motorola, I will buy Korean first….. The moto-x was only built in the USA, not made. All and I do mean ALL of the parts came from overseas. I know this because I was involved with this phone. The assembled in the USA was a gimmick to sell more phones. The problem with Moto X is the price is way too high for what you get compared to other flagship Android phones. My recent android purchase options looked at the Moto X 2nd gen, HTC M8, and Samsung Galaxy. The HTC and Samsung had bigger batteries and the SD storage card slot to expand my memory storage. I went with the Samsung Galaxy. Moto X is a very nice phone, but that 16gb of storage is a killer because there is simply not enough room for the phone to last me for the next 2 years. If Motorola ever wants to compete with the flagship prices, then they need to start offering flagship hardware too. Thank you for sharing your thoughts. I agree with you on that the storage is a serious issue. Without SD card support, the default configuration should be 32gb (2014) or 64gb (2015).